Rachel Clifford (Julia Ormond) is a dentist who has just divorced her unfaithful husband, Simon (Peter Capaldi). Feeling directionless, Rachel shocks her posh friends by getting a part-time job as the dentist at Wadsworth Prison, the toughest and most notorious prison in Britain. While most of the inmates in the all-male prison harass and proposition the attractive Rachel, she forms an unlikely friendship with Phil (Tim Roth), a sensitive inmate who is doing time for killing his previous girlfriend. Phil and Rachel are both captives, Phil of the legal system and Rachel of her upper class existence. With Phil getting weekly day releases so that he can take computer classes, he and Rachel become lovers outside of the prison walls. When prison kingpin Tower (Colin Salmon) finds out about their affair, he attempts to blackmail both of them. A British film which I don’t think ever got much attention in the U.S., Captives is a romantic drama that works because Julia Ormond and Tim Roth both give good performances and share a spark of passion. Captives is one of the few films that could actually make a hookup in a public restroom seem romantic. It’s just too bad that, after such a strong start, the movie gets bogged down in melodrama during the final twenty minutes. If there was ever a Marvel Comics character who was perfectly suited to star in a grindhouse film it would be Frank Castle aka The Punisher. He’s a character who takes the term anti-hero past its limits and who makes other film vigilantes seem like sissy, choir boys. In December 2008 Lionsgate released a sort of reboot of The Punisher by Jonathan Hensleigh and starring Thomas Jane in the titular role. This time around the role of Frank Castle goes to Ray Stevenson (The Other Guys, Thor, Kill the Irishman) with German-filmmaker Lexi Alexander taking on the director’s reins. 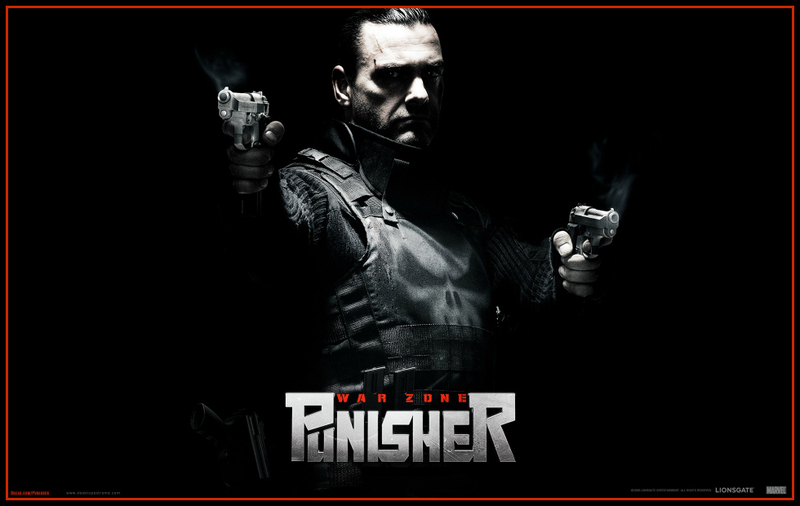 Punisher: War Zone takes much of the characters in the film from story-arcs found in the Marvel Knight’s Punisher MAX series which took the character and his stories into a darker realm of violence. This latest film definitely owes much of it’s darker and more violent tone from that comic book line while at the same time creating a look which brings to mind the garish and over-the-top grindhouse action films of the early 80’s. The film quickly establishes who the Punisher is and what motivates him to take on and kill (heavy emphasis on kill) the criminal underworld of the city. In an opening sequence that probably out-violences every other film released in 2008, the Punisher wipes out a gathering of mobsters in every bloody way as possible. Blood and gore flows and splatters a-plenty in the first 10-15 minutes of this film. There’s a semblance of a story which involves Castle mistakenly killing an undercover FBI agent which causes him a momentary crisis of conscience, but it really doesn’t last too long as there are more criminals to kill, main and blow up. If there’s one thing the Punisher knows how to do best it’s those three things. Ray Stevenson in the title role doesn’t get to emote much, but does a great job in showing the characters ice-cold ruthlessness paired with a sort of dead-man walking persona which rings true to how the Punisher has been written up of late. His Frank Castle is dead inside and only when he’s the Punisher does he even show any sort of life (even if it’s the barest hint). His foil this time around brings one of the Punisher’s earliest arch-enemies in the disfigured mobster (caused by the Punisher) Jigsaw (played with over-the-top campy relish by Dominic West). Where Castle is deadly serious to the point of morbidity his opposite was all garish with a liberal dose of crazy. Punisher: War Zone really dispenses with any complexities to it’s plot and just finds reasons and excuses for the Punisher to go on another killing spree against criminals that for some it might not be enough. As a lover of grindhouse and exploitation films what this film offers was enough and really goes a long way in entertaining in such an 80’s fashion. It’s a film that revels in its violent absurdities and campy storytelling. Even the acting by all in the film passes the line of campy and into a sort of Looney Tunes level which makes the extreme violence and gore of the killings more cartoonish than realistic. This was a film that celebrated it’s grindhouse roots from the actors, the filmmakers all the way down to it’s cinematographer and art directors. It’s disposable entertainment and it knows it so doesn’t bother to try and hide that fact and just tries to entertain in every manner possible and then some.